LAHORE: The 72nd edition of Punjab Games got under way at various venues of the city. 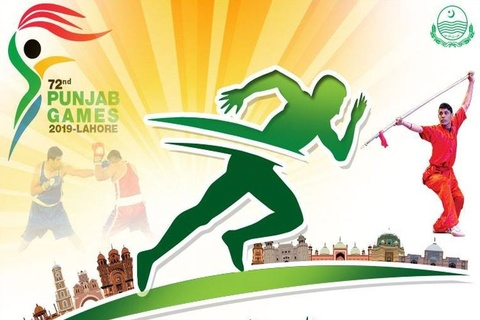 It may be noted here that Sports Board Punjab (SBP) is organising 72nd edition of Punjab Games with the collaboration of Punjab Olympic Association from April 3 to 6, 2019. Lahore Division outplayed Sargodha by 3-0 margin. Faisalabad team managed to beat Rawalpindi by a narrow margin of 3-2 after tough contest. Gujranwala division emerged winner against DG Khan by 3-1. Multan division and Sahiwal division thrashed Bahawalpur and Gujranwala by identical margin of 3 – 0 respectively. Danish Anjum of Sahiwal defeated Siraj Ali of Rawalpindi in 51kg category fight. Bilawal Hussain of Gujranwala emerged winner against Shahid Ali of Sargodha in another fight of 51kg category. The Athletics competitions of special persons were held at Punjab Stadium. Naeem Masih of Lahore and Liaqat Ali of Sahiwal remained second and third in this competition. 100m Girls (V.I): Kiran Rafiq (R.pindi), Attiya (Srgda), Huma Ashraf (Lhr). 100m Girls (H.I): Sana Batool (R.pindi), Memoona (Lhr), Javeria (Fsbd). 100m Boys (M.C): Sultan (Gujrwla), Anas Muawia (Lhr), A Saboor (Fsbd). 100m Boys (H.I): Rasheed Ali (Fsbd), M Ahmad (R.pindi), M Janshed (Srgda).